Molecular dynamics simulations were conducted to obtain the elastic constants of quenched FeNi and FeCr alloys at different atomic compositions. The simulation was conducted using an embedded atom model (EAM) potential and the alloys were subjected to a rapid cooling from 1273K to 298K. Deformation process was performed along different crystallographic directions at a constant strain rate. The calculated elastic constants of quenched FeNi and FeCr alloys are in good agreement to experimental data with 1-12% difference in values. Accuracy of the results were associated with the structural phase and transferability of the EAM potential at higher temperatures. J. F. Viloria and F. N. Paraan. 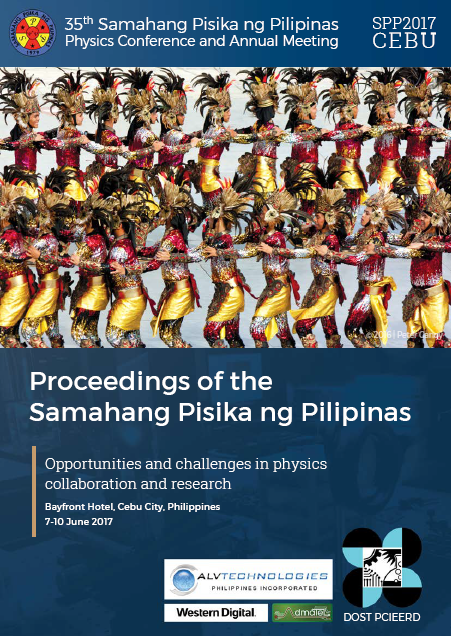 Molecular dynamics calculation of the elastic constants of quenched FeNi and FeCr alloys, Proceedings of the Samahang Pisika ng Pilipinas 35, SPP-2017-2B-03 (2017). URL: https://paperview.spp-online.org/proceedings/article/view/121.